When someone visits your website, what do they do? Do they visit the site once and return to the digital abyss? Maybe they click on an ad. Hopefully, they purchase a product. If you can’t answer these questions, there is a place you can look. It’s time to take a quick look at Google Analytics’s Conversion Tracking. Google Analytics is a free web analytics service that allows website owners to gain valuable insights into how users interact with their site. How does it work? When users come to the site, Google uses the code to collect information on their behavior on and off the website. 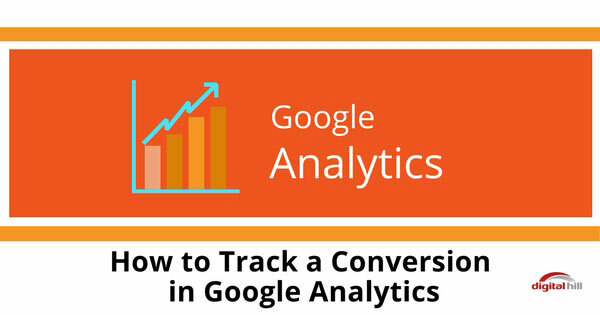 Google Analytics can also assist users in performing the subject of this article – Tracking Conversions. What exactly is a conversion? Conversions happen when a user comes to the website and “converts” by becoming a customer. A conversion can be whatever you choose, such as filling out a form or purchasing a product. Before you can proceed with anything else, you have to have a Google Account. If you already have one, you can go directly to Google Analytics. If not, create one (it’s easy). Welcome to Google Analytics! Now that you’re on the Analytics page, you can add your website. First, click sign in at the top right of the page. Select “Google Analytics” from the drop-down menu and click sign up. On the New Account Page, click on “Website” and fill out the forms. Next, select all of the data sharing options (these options give you more control over the sharing of collected Analytics data) and hit “Get Tracking ID”. Now the fun can really start! On the next page, you’ll see two important things; your new Tracking ID and your Universal Analytics tracking code. Copy your tracking code into the head of your website. WordPress users can install Analytics by following the steps in this guide. Start Creating Your Goals! – Once you’ve gone through the steps listed here and in the guide, you can start tracking conversions. Once you’re all set up to begin using Google Analytics, you can begin with Conversion Goals. Page Views – How many people visit the site’s pages? Order Confirmations (Purchases) – Track your transactions. Shopping Cart – Why are customers abandoning their carts? To set your goals, all you need is a goal, the URL of the page in question, and a simple tutorial. After goals are created, you can create reports to review the metrics. There you have it! You put a lot of time and money into your marketing. By using Google Analytics, you can make sure your campaigns are doing exactly what you want them to! Have further questions or want us to set this up for you? Contact us today!